Are you scheduled to tie the knot within a few days? Congratulations! In that case, it will be perfectly justifiable to celebrate these last few days of bachelordom with class and style. Of course, you can always just visit the local pub and take a break from your hectic schedule but do you think this mundane activity will do your final days of bachelordom justice? Ready to discover the party magic epidemic of the most famous European destinations for bachelors? Well, traveling has become very easy nowadays with the introduction of affordable airlines and inexpensive stag do packages. Moreover, Europe is packed with hot destinations which are custom-tailored to indulge the peculiar appetites of modern-day bachelors. The bustling urban centers of the old continent are ideal for bachelor party/parties so let us introduce you with some of the top European bachelor cities, which are definitely worth the visit! 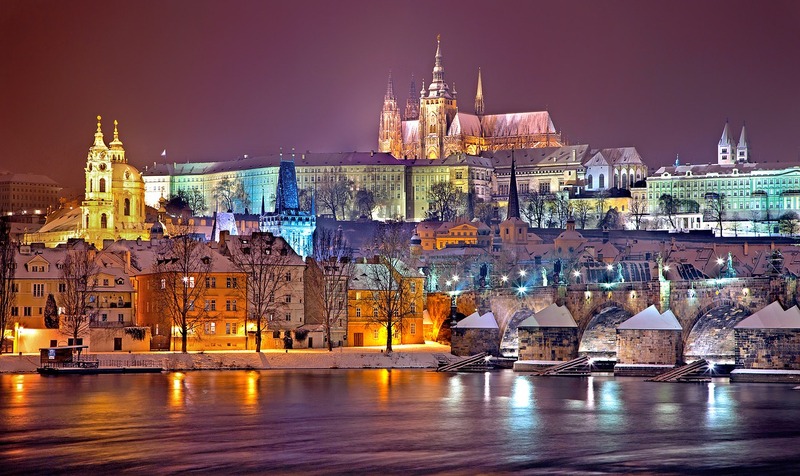 Apart from these merits, Prague is also known for its architectural brilliance which can make you absolutely mesmerized. You can feast your eyes on the pristine historic structures of the city and take a luxury cruise on the Vltava River to fully enjoy the urban splendor. The accommodation facilities in this city are high-end and the majority of the residents are able to communicate in English impeccably. With ravishing cultural hotspots, savory cuisine, and a unique party vibe, Prague will surely captivate all bachelor as they shake off their hangovers from last night’s daring escapades. When it comes to celebrating bachelor parties, Hamburg is somewhat more expensive compared to Prague. In fact, this is the only downside of enjoying this city’s vibrant energy and cultural diversity. And the upside? You will never run short of beer and the red light district on St. Pauli is where all the magic happens. Nightlife in Hamburg is beyond impressive with hip funky pubs and clubs popping in and around the port area. You can also hop into one of the party boats in case you feel like to going on a real cruise adventure. Moreover, you need not be scared of getting scammed in the city or any person trying to bully you during your visit. The women in Hamburg are very attractive and fashionable. And although they might not be easily approachable, it is common courtesy for locals to show you all the nightlife ropes. People here are quite hospitable, and, compared to the other European destinations, the red light district is 100% safe and closely regulated by the government. On top of this, the majority of the party-goers in Hamburg can communicate in English just like in Prague so you don’t have to worry in case you get lost or separated from your group. This city is considered to be the party capital of Poland. Karkow’s bustling youthful nightlife along with top-quality vodka cocktails and scrumptious Polish lagers are really something to behold. Make no mistake, the people have got that authentic Slavic attitude, which means they will welcome their guests in the best possible manner. Additionally, Krakow is not expensive at all compared to western standards. Here, you’ll come across quality affordable accommodations of every type ranging from budget to luxury ones. And with a myriad of romantic landmarks and magical edifices, one cannot deny the fact that this city will never make you feel monotony. With the availability of some low-cost flights, Krakow is obviously a great option to have an epic stag do get away. Amsterdam is yet another well-known destination for celebrating world-class bachelor parties and offers an exclusive list of activities which consist of strip shows, liquor sprints, as well as legal recreational drugs. The majority of stag do packages here ranges from $115 and could be as high as $320 per individual. The flights from other European cities are quite inexpensive so you need to be prepared to shell out at least $125 for the occasion, depending, of course, on your drinking habits. Here, you’ll get the opportunity to sip on some outstanding Dutch beer, which is really worth the cost. Amsterdam also provides a wide array of fairy-tale-like landmarks, interactive museums, and bustling hotspots in close proximity – and the red light district is something a bachelor entourage simply cannot ignore! As a matter of fact, Amsterdam may be somewhat more expensive compared to the other stag do destinations in Europe but the quality of services is immaculate. Period. The ladies here are ravishingly gorgeous with a laid-back demeanor. The local residents welcome the tourists with open arms and almost everybody can interact in proficient English so you are pretty much set to spend your holiday here like a king. Budapest is THE place which you simply cannot overlook when it comes to epic bachelor celebrations. The Liszt Ferenc square in the city is full of excellent cafes and bars and you might consider checking out BarCraft in case you’d like to treat those taste buds with craft delights. To put it simply, the Hungarian capital will provide you with architectural splendor, exciting drinking tours, and relaxing spa treatment – everything you need for celebrating your final bachelor days like royalty. For example, Faust Wine Cellar, which is considered to be one of the oldest cellars on the European continent, will entice you with an awesome atmosphere and even better wine. The savory food here consists of mouthwatering beef, Hungarian paprika, and a variety of both traditional and international cuisines. In a nutshell, Budapest will never disappoint you, especially in case you happen to be a food buff who likes to satisfy his appetites in the best way imaginable. If you like to go for something more exciting, you can indulge in some adrenaline pumping extreme sports as well as enjoying a luxury riverboat cruise down the Danube river. The choice of European destinations for celebrating bachelor party/parties is substantial given that there are so many majestic cities in this historic continent. However, these 5 urban centers mentioned above are guaranteed to give you the time of your life before you enter into marital waters. So, do not hesitate to visit one of these incredible destinations! Book your plane tickets today, book those hotels room, and let the magic unfold.